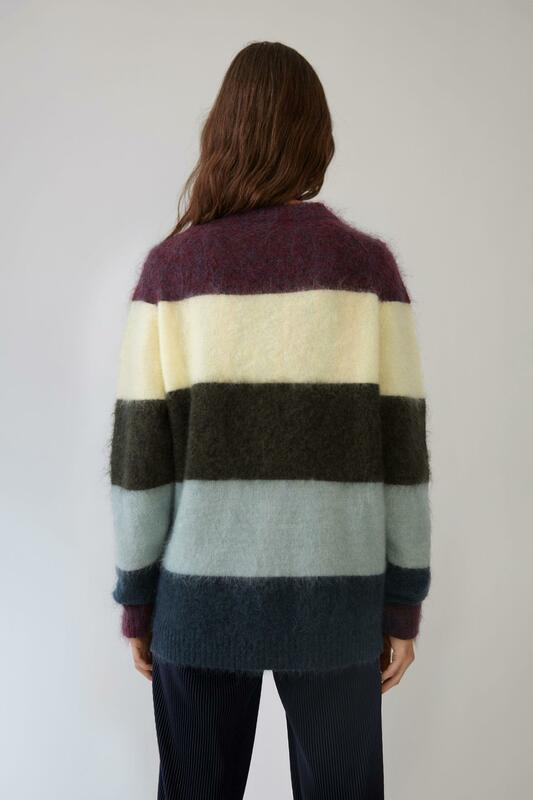 See more Acne Studios Sweaters and pullovers. 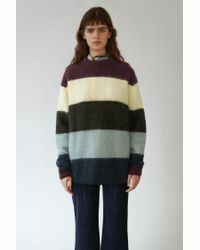 We check over 450 stores daily and we last saw this product for $534 at Acne Studios. 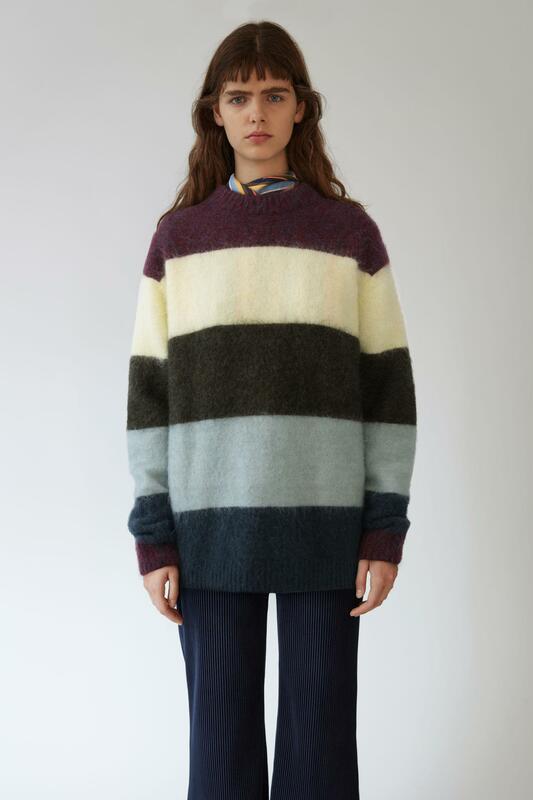 Acne Studios Albah Mohair burgundy/melange stripe mix is a relaxed fit sweater with colourful stripes. Ribbed neckline, cuffs, and hem. Back raglan sleeves. Fully fashioned details. Colourful stripes. Fluffy, brushed mohair. 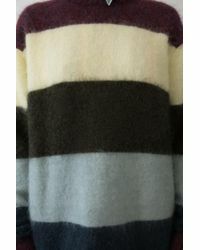 Acne Studios Albah Mohair burgundy/melange stripe mix is a relaxed fit sweater with colourful stripes. 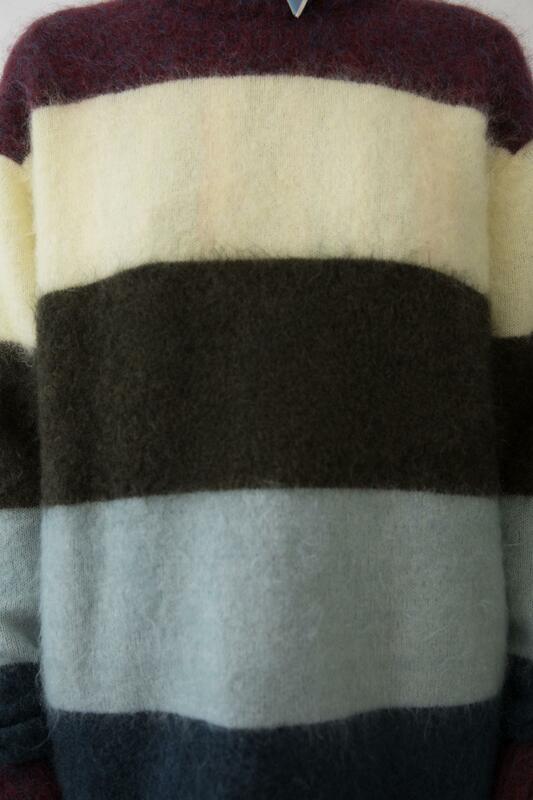 32% Mohair, 32% Wool, 31% Nylon/Polyamide, 5% Elastane. Striped sweater. Ribbed neckline, cuffs, and hem. Back raglan sleeves. Fully fashioned details. Colourful stripes. Fluffy, brushed mohair. 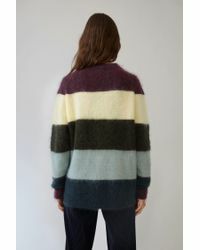 Acne Studios Albah Mohair burgundy/melange stripe mix is a relaxed fit sweater with colourful stripes. 32% Mohair, 32% Wool, 31% Nylon/Polyamide, 5% Elastane.